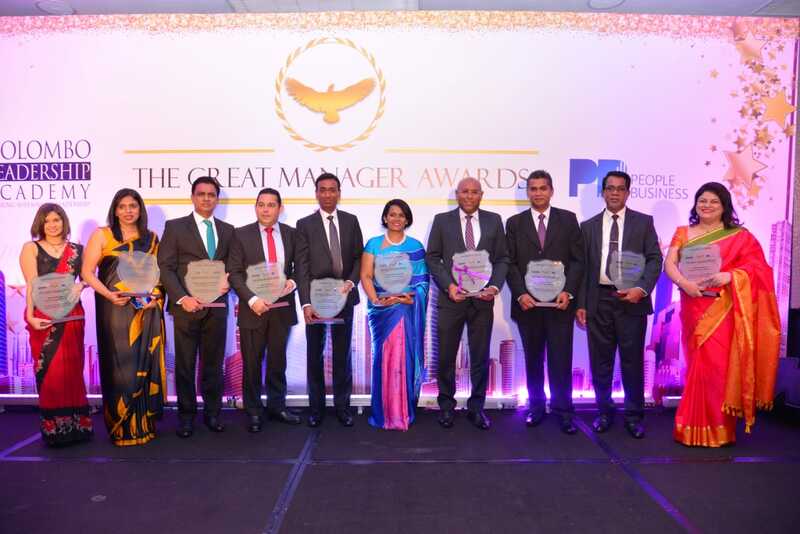 National Development Bank PLC becomes the first Bank to be recognized as the “Company with Great Managers” with ten individuals of the senior management of the bank winning awards under various categories at the Great Manager Awards 2018 hosted by the Colombo Leadership Academy for Leadership Excellence. NDB’s Managers were felicitated with ten awards under four categories – Driving Results and Execution, Aligning Organization Vision, Enhancing People Performance, and Building Team Effectiveness. Sydney Downall, Ajith Senadheera, Ishani Palliyaguru, Darine Fernando, Zeyan Hameed and Chaminda Jayasinghearachchi were awarded the Great Manager award for Driving Results and Execution. Nilanga Gajaba was among the managers felicitated with the Great Manager for Aligning Organization Vision while Shera Hassen was awarded the Great Manager for Enhancing People Performance. NDB was also the only institution felicitated with the Great Manager for Building Team Effectiveness awarded to Lilanthi Delgoda and Champa Wickramanayake. NDB Director/Group CEO Dimantha Seneviratne, accepting the “Company with Great Managers” award said that the Bank is proud to have committed leaders at many levels within the organization thanks to very good HR practices adopted which is recognized by the facilitators of the Great Manager Awards. The Company with Great Manager award recognizes the organization for its credibility and best practices in nurturing great managers through a culture of high performance where career paths & road maps for growth are provided with great clarity, Alignment of learning & development to drive performance and execute strategy, A culture to challenge the status quo and instigate creativity & innovation and where more managers are nurtured through a well-structured programme that ensures sustainability. ‘The Companies with Great Managers and ‘The Great Managers Awards’ is an initiative taken towards identifying, assessing and recognizing organizations with ‘Great Managers’ benchmarking with the best of best in the arena. The Awards, through a set of stringent leadership competency evaluations strives to define and build an eco-system and culture that nurtures great managers in Sri Lanka. The hosts Colombo Leadership Academy said this year a substantial number of nominations were received to contend and validate true leadership and managerial excellence benchmarking the best practices among Sri Lankan corporate entities. NDB Bank which is the first and to date the only corporate in Sri Lanka to officially be certified with EDGE Certification, the leading and only global certification for gender equality at work place, is the parent company of the NDB Group, one of the fastest growing financial services conglomerates in Sri Lanka, with the strategic mission to be the dominant leader in the financial services and banking sector. From its inception, the group which includes NDB Bank, NDB Investment Banking, NDB Wealth, NDB Securities, and NDB Capital has been a catalyst in the development of the nation, strengthening and empowering entrepreneurs, corporates and individuals from all strata of the economy. Customers across all group companies have benefited from the product and service offerings of the NDB group.